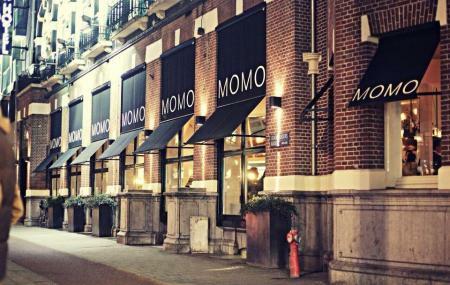 MOMO is a sophisticated restaurant known for serving delicious and high-end Asian fusion dishes. The restaurant has a wonderful ambience and the minimalist space has a sleek central bar area where you can get your hands on a wide variety of drinks. The menu here is extensive and you can get everything from Thai Beef Salad to Teriyaki Chicken, sushi bento to small plates, sushi, sashimi and sushi rolls to seafood, a good variety of desserts to champagne and wine and so much more. The service here at MOMO is fantastic and the staff members are friendly and would not only ensure that you have a pleasant dining experience but would also suggest a few dishes for you to try. Amazing Japanese restaurant, great location. Booking advised. The food was out of this world and the service excellent. Quite expensive but well worth it for a treat from time to time. Would highly recommend. Excellent food, good service Nice DJ and great ambiance. One of my favourites lounge bars/ restaurants in Amsterdam. Extreme good location as well. Hint: make reservations, its always packed here. Pretty expensive but again, you also receive were you are paying for! The food is good, but for the price you pay the service is really bad. We asked for drinks 3 times and all 3 times they came wrong. When we asked for the manager he was so inpatient and rude.